It's crazy to imagine football without the talisman that is Cristiano Ronaldo, but time is the only undefeatable opponent in football, and it is merciless. 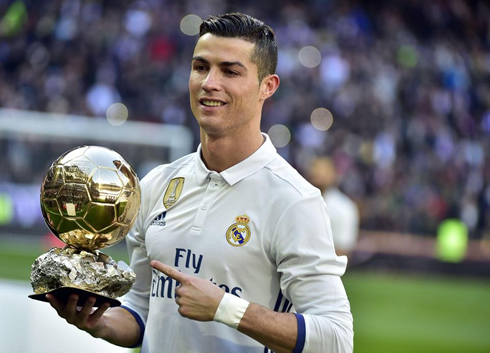 Turning thirty-three next February, the Portuguese wizard collected his fifth Ballon d'Or in December 2017, thus levelling his own personal "series" with Lionel Messi, who won four straight from 2009 to 2012 and his last one in 2015. In fact, 2018 could end up being the decisive year to see who will go down in the history books as the best player ever (on a Ballon d'Or criteria). 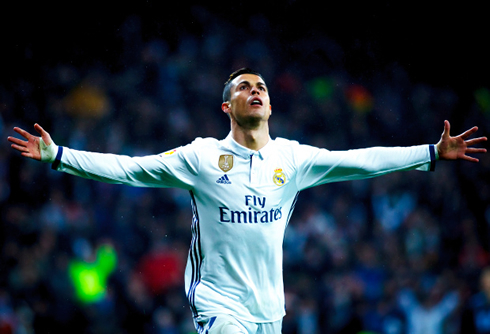 2017/18 has, however, been a damp squib for Ronaldo, when set next to his preceding seasons in the gleaming white and gold hues of Real Madrid. Immediately after his fifth Ballon d’Or win, Ronaldo celebrated by scoring two goals against Sevilla. While that performance was excellent, it should be noted that he has still only scored four goals in eleven appearances this term, and found himself goalless by early October. Inevitably, this has fuelled arguments that his time as a top-level player and international may soon be at an end. Ronaldo has, however, shown no signs of 'slowing down' in the Champions League. Thus far, he has hit a total of nine goals in just six appearances this season. With most wingers considering retirement by Ronaldo's age, the debate as to where one of beautiful game's greatest athletes goes from here is wide open. 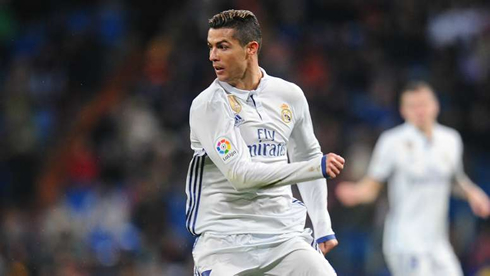 It is already known that Ronaldo aims to play into his 40s, but such are the physical demands of being a wide attacking player facing (potentially) more than fifty games a season, this idea seems more ludicrous with each passing La Liga game. Ronaldo's talent on a ball will be with him until the day he dies, of that there can be no doubt, but the pace the modern game requires cannot be with him forever. 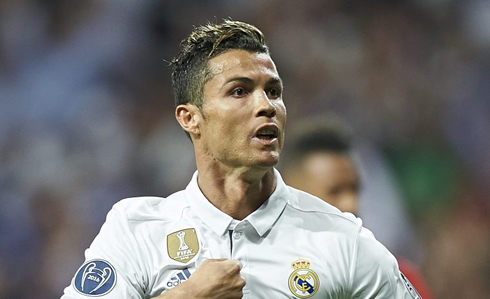 The next two years could see Ronaldo break several records, and it is for this reason alone that he will likely continue playing into the new decade. Firstly, and most obviously, Ronaldo will be aiming to become one of the first players to win a Champions League title in three consecutive seasons with the same club. Should Real Madrid fall at this stage, then Ronaldo will have blown any realistic chance of ever achieving said objective in his playing career. The next opportunity would come at the age of thirty-six, an age at which most attackers seriously consider hanging up their boots – if they have not done so already. As expected, Real Madrid shot through the group stage without a fuss, but in doing so as runners up, cast a shadow of doubt over the club's aspirations for a third successive European title. Those with that regularly take a look at Champions League odds can see that Real Madrid are not favourites, but at the same time, the twelve-time European champions have more than a fighting chance of winning the big one. Ronaldo's chances of becoming La Liga's all-time top scorer appear remote. As of 11 December 2017, he trails Lionel Messi by 73 goals. He does, however, still have the impetus to maintain his standing as the best ever La Liga scorer in terms of goals-per-game. Currently boasting a ratio of 1.05 goals per game, Ronaldo leads Messi in the all-time stakes by some distance. By extension, Ronaldo also has the chance to become the only La Liga player to retire with a ratio of more than one goal per game. In doing so, he would likely set an unassailable record. International-level retirements generally precede a retirement from football altogether. For this reason, the idea of Ronaldo bearing his famous #7 in a Qatari desert World Cup stadium five years from now appears ludicrous. By the winter of 2022, Ronaldo will be nearly thirty-eight years old. Cameroon's Roger Milla appeared in the World Cup of 1994 at the age of forty-two, and he remains the oldest outfield player to appear at a finals. While only time can tell if Ronaldo's aspirations to do the same are warranted, it should be noted that the Cameroon squad of 1994 lacked the depth that Portugal will surely boast in 2022. With Gelson Martins and Bruma already established, Ronaldo will at best be an ‘impact sub’, and a last resort against elimination, should Portugal play in the 2022 World Cup prior to his international retirement. Realistically, 2018 will be the last World Cup in which #CR7 enjoys star status as a regular fixture. Cristiano Ronaldo next game for Real Madrid is on December 13 of 2017 against Al Jazira. You can watch Juventus live stream, Real Madrid vs Al Jazira, Liverpool vs WBA, Man United vs Bournemouth, West Ham vs Arsenal, and Swansea City vs Manchester City, all matches provided from our streaming soccer game pages.